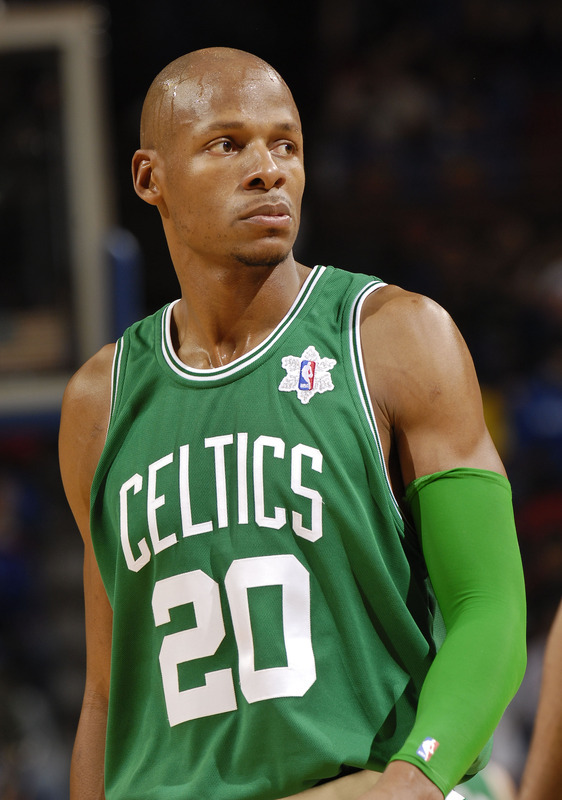 Walter Ray Allen, Jr. was born on 20 July 1975, at Castle Air Force Base near Merced, California USA. He is a well-known basketball player, who is known for playing in such teams as “Boston Celtics”, “Milwaukee Bucks”, “Miami Heat” and “Seattle SuperSonics”. During his career as a basketball player, Ray has won various awards. Some of them include, NBA Sportsmanship Award, UPI Player of the Year, USA Basketball Male Athlete of the Year and many others, as a result of being one of the most accurate three-point shooters ever in the NBA. Now Ray does not belong to any basketball club, but this will probably not continue for a long time and soon Ray will receive some suggestions to become a part of one or another team. If you consider how rich Ray Allen is, sources estimate that Ray’s net worth is $100 million, with the majority of this sum of money coming from his career in basketball. In addition to this, Allen has also appeared in several movies. Ray is considered to be one of the best three-point shooters, so there is no surprise that his net worth is so high. If he will sign up with some team, eventually Allen’s net worth will grow. Let’s hope that this is exactly what will happen soon. Ray’s early years were spent in UK and Germany as well as the USA, as his father, Walter Sr, was a member of the USAF. When Ray was still attending high school, he started playing basketball and is talent was quickly noticed. Ray continued his studies at the University of Connecticut, where he proved that he had all the basketball skills, so that in 1996 Ray became a part of the team called the “Milwaukee Bucks”. This had a huge impact on the growth of Ray Allen’s net worth. He played in this team until 2003, when he decided to leave and join the “Seattle SuperSonics”. He then played for the Boston Celtics (2007–12), and so far the last team that Ray played for was the “Miami Heat” (2013-14). Despite the success he had, Allen decided to take a break and in 2014 he became a free agent. Another very important moment in Ray Allen’s career as a basketball player was when he and the United States men’s basketball team won the gold medal in the 2000 Summer Olympics. This was one of the greatest achievements he could attain. Let’s hope that he will play again soon. As mentioned, Ray has also appeared in several movies. His first role as an actor was in the movie called “He Got Game” with Denzel Washington, and later he appeared in another movie, “Harvard Man”. These appearances also added to Ray Allen’s net worth. If to talk about Ray Allen’s personal life, he has been married to Shannon Walker Williams since 2008. Ray is a philanthropist, and supports different charity organizations and participating in their events. All in all, Ray Allen is a very talented basketball player, who has achieved a lot during his career. He is now 39 years old, so it’s possible that Ray could continue playing. Hopefully, he will become a part of another successful basketball team and will continue his career.